Yesterday night Fab Five Freddy revealed that Hip-Hop pioneer and visionary Rammellzee passed away. 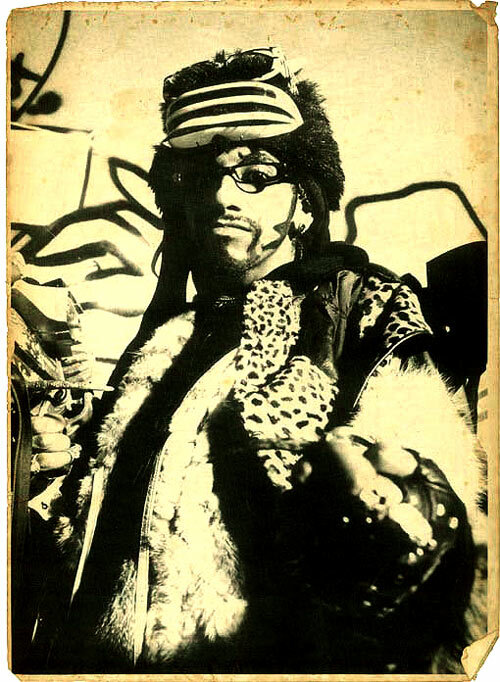 A true artist filled with passion for music, art and knowledge most times not understood yet highly respected Rammellzee was the original real deal. Many will remember him from Wild Style where he and K-Rob went in on Beat Bop in '83 and his art. He crafted a world within a world and had the most interesting, controversial, and crazy things to say about this universe. The visionary even went on and evolve the alphabet to the point where they turned and did battle with each other in Letter Racers. He graced the stages wearing his elaborate masks that he even went on to sell some, and had action figure like dolls made as well. Hip-Hop culture has lost a highly intelligent and prolific artist, we should all be thankful for the knowledge that he gave us and learn that you don't have to just follow and do things how your used to seeing them. The greats always leave us in order for the culture to evolve and build upon what they left behind, I think this is one of those cases where we have to do something to add to our Hip-Hop culture now. Most people who talked to him (so I hear/read) had a really hard time understanding him or what he said, but it is because he let himself go and became what he was about then evolved into an incredible creature where there was no turning back from greatness. He was who he said he was or where he wasn't and was the truth with it... for that we will miss and learn from you. Uncommon Record's Nasa remembrance of picking up Rammellzee for the interview. Hear the interview with Rammellzee in Uncommon Radio. "P.S. While the “WELDERS” watch you, the “HORRORS” plot you. And remember, “DESTIN” and “DESTINY” re-slot you as the “VOCAL WELL GODS” spot you!" Peace to Uncommon Records for their story and audio.